Everyone get’s worried when they leave their homes unattended. You can’t risk having people ransack the house when you are away. Going to out-of-town vacations can be frustrating when you are unsure of the safety of your household and belongings. Sydney is a peaceful area but there are still dangers of burglary everywhere. You need to upgrade your house’s protection if you want your place to be secured at all times. Since it is unavoidable to leave the house at times, you will need a method to keep the situation in check. With our IP CCTV cameras, you can keep a close watch on your house even when you’re on vacation. How do IP CCTV cameras work? Remember the typical web cam you use when you talk to people online? IP CCTV cameras are several steps higher than that in terms of quality and speed. You just need to keep your internet router at home on at all times and the CCTV camera will continue feeding the footage on the internet for you to access anytime you want to. The video feed is directly transported online so you can gain access to real time capture with high resolution and stable connection. Does it work on all types of mobile phone? Complete Alarms provides you with CCTV packages that can be accessed by all types of android phones at present. For iPhones, an application called iPhone DVR that allows you to view the camera’s capture through the internet is included for free when you avail of one of the security packages. For all other android phones, another application with the same function is provided for free as well. Deter all burglars away from your home by showing them that you have a tight security system. Maintain peace of mind at all times by knowing the status of your house and the safety of your family when left alone in the house. This is just a bonus, but you can get lower insurance premiums when you have a secured house. If you are confused about what to get for your home, we’ll provide you with a reliable staff to assess your home’s security needs. 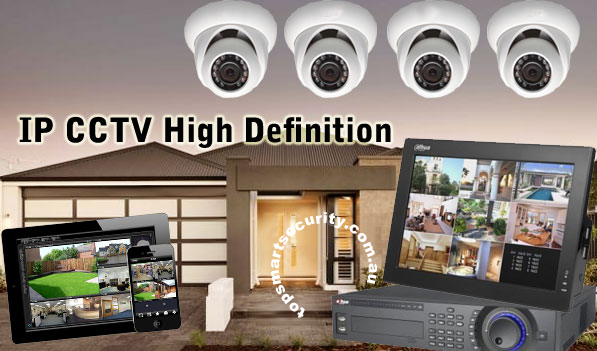 It is best to get a CCTV system that meets all your security requirements. Find out what options you have and get a free quote by giving us a call.